For ages, the problem of hard drive corruption has been prevalent on Windows machines. This issue has certainly plagued the lives of almost all PC users. From catastrophic disk failures to a small error while reading a file, any sort of issue can be dreadful to your system and may lead to big data loss. Improper shutdowns on Windows PCs only increase the risk of hard disk corruption and leave your system in an inconsistent state. This generally happens when your PC spontaneously resets or an instant power surge results in a bad exit. As a consequence, you may encounter several cross linked files, corrupted directories, physical bad sectors, and other similar symptoms. As the hard disk ages, it gradually develops various physical defects and a propensity for malfunctioning. You may notice your data slowly vanishing, files disappearing, errors on running a SMART utility, errors found by ScanDisk, etc. In some extreme situations, the CMOS setup fails to detect the disk. The operating system and hardware drivers collectively handle direct disk access. When there are bugs in the device driver code or the operating system code, bad writes occur on the disk, disrupting the normal file system operations and causing data corruption. Viruses and other malware affect your system in various ways. They damage the data structures and file system attributes, destroy data, and tend to slow down your system. Some of them are specifically programmed to target the boot sector of your drive. Not only your hard disk, but other hardware components may develop defects over time. Your system may have a bad RAM, bad processor fan, overclocked PCI bus, flaky hard drive controller, etc. Any of these components may corrupt the data in its passage to the hard disk. This may cause significant loss of data. In all the aforementioned cases, your precious data stored on the disk becomes inaccessible. To avoid this crippling loss of data, you can perform hard drive recovery via advanced third-party software. These utilities help you easily and quickly recover your lost data in critical events of hard disk corruption or crash. They can perform reliable HDD recovery for all Windows versions, including Windows 7, Vista, Server 2003, XP, and 2000. 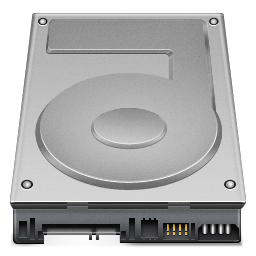 This is a guest post by Oliver who works as a data recovery specialist with Stellar Data recovery and writing article on different conditions of data loss. You can follow oliver on Goolge+ to stay updated on the latest data loss problems and causes of hardware failure.